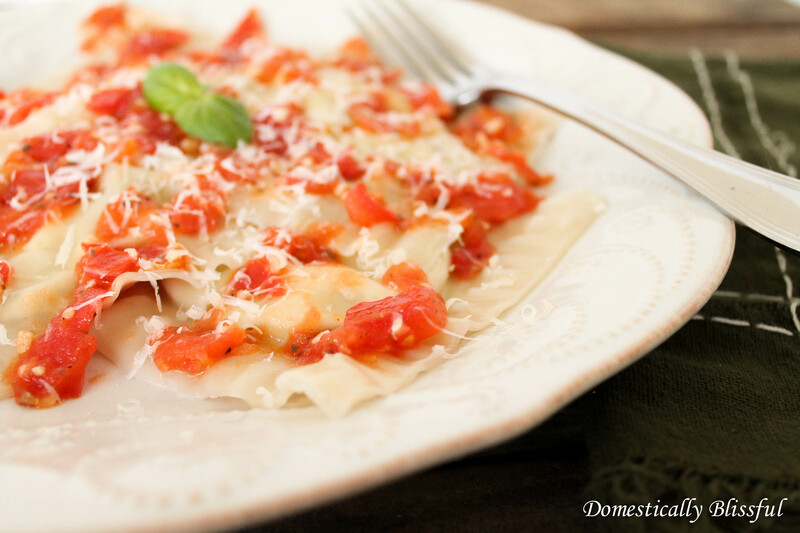 For a little while I have wanted to make ravioli but honestly, I haven’t felt like making pasta dough – which is a lame excuse because homemade pasta is pretty simple to make. The real problem is that I usually decide I want homemade ravioli about ten minutes before I start making supper. This might sound like a silly little problem but it’s one with a simple solution! Wonton wraps. 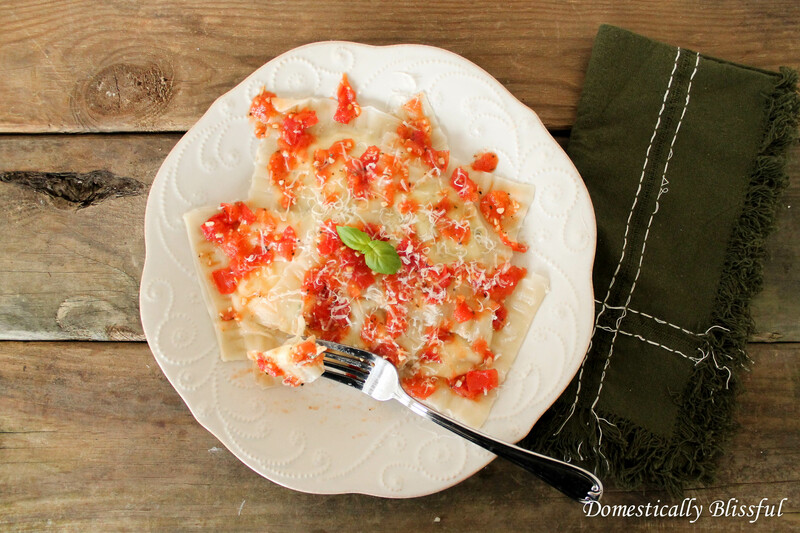 Now that might sound weird to some people – it definitely did to my husband – but this Simple Fresh Ravioli is not only delicious but also incredibly easy to make. 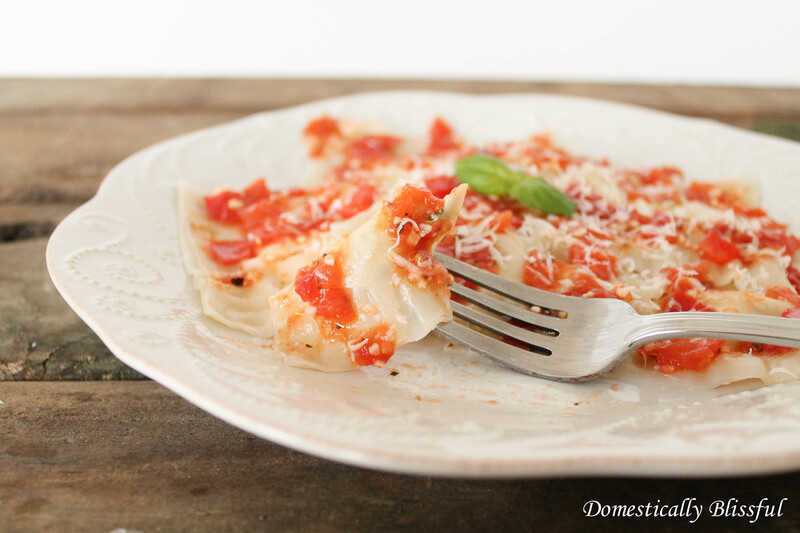 Two of my favorite things about this Simple Fresh Ravioli is that you can fill the wontons with any of your favorite fillings and that you can make this Simple Fresh Ravioli anytime you like! *The reason I don’t have exact amounts for this recipe is because you can make as many or as little as you want as you will see below. 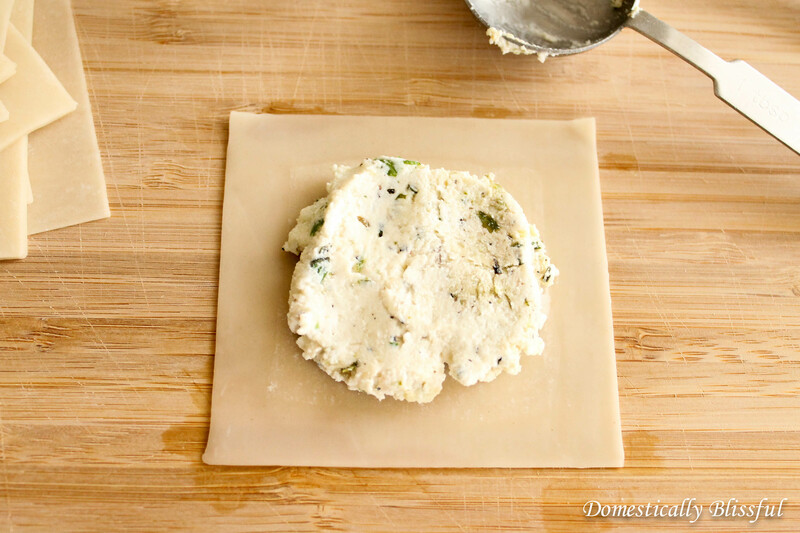 First, lay out one wonton wrap and scoop one tablespoon of herbed ricotta cheese onto the center of the wonton and flatten it into a circle. Then dip your finger in the small bowl of water and paint the water around the edges of the wonton wrap. 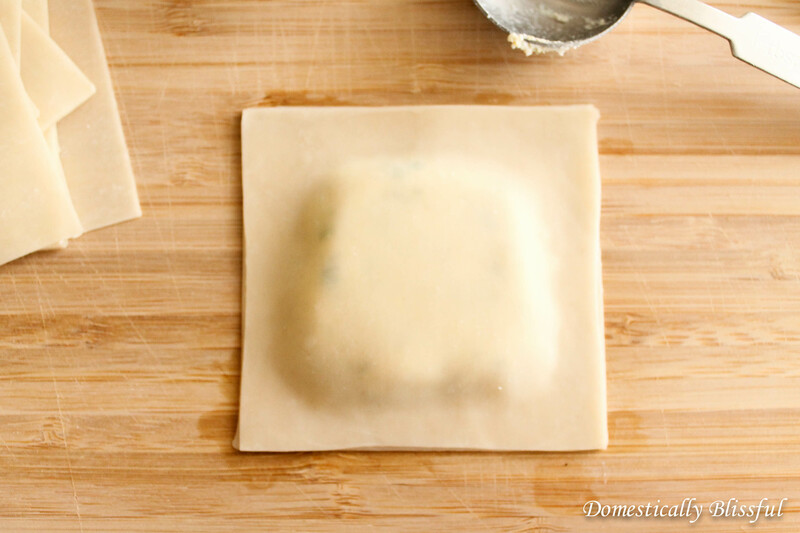 Immediately place another wonton wrap on top and seal all of the edges by pressing down on them with your fingers. Use a fork to make these cute little marks all around the ravioli – just be careful not to puncture the center of the ravioli. 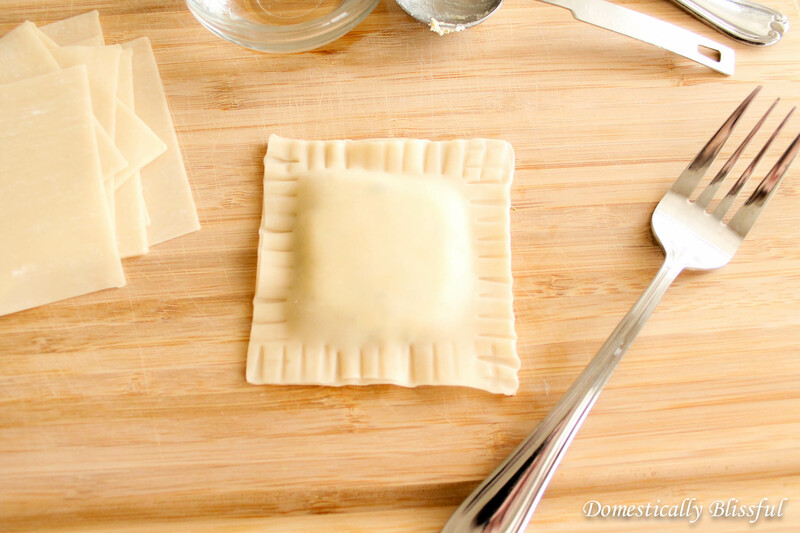 Continue this process until you have as many homemade ravioli as you want. 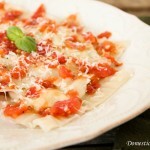 Cook the ravioli in a pot of salted boiling water with a few tablespoons of olive oil to keep the pasta from sticking. Once the ravioli has risen to the top of the pot continue to let it cook for another 2-3 minutes. Then drain the pasta and serve with your favorite sauce! 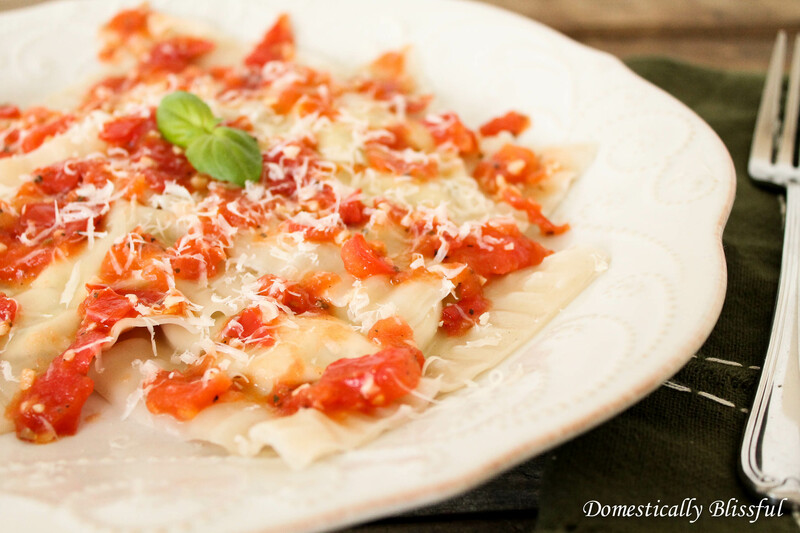 *If you are cooking a meat filling instead of a vegetarian filling you might need to cook the ravioli longer or differently. Sorry I have no idea how to cook meat! 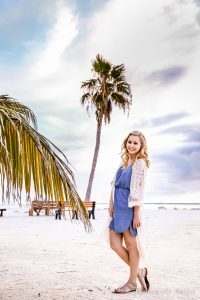 *The reason I don’t have exact amounts for this recipe is because you can make as many or as little as you want. 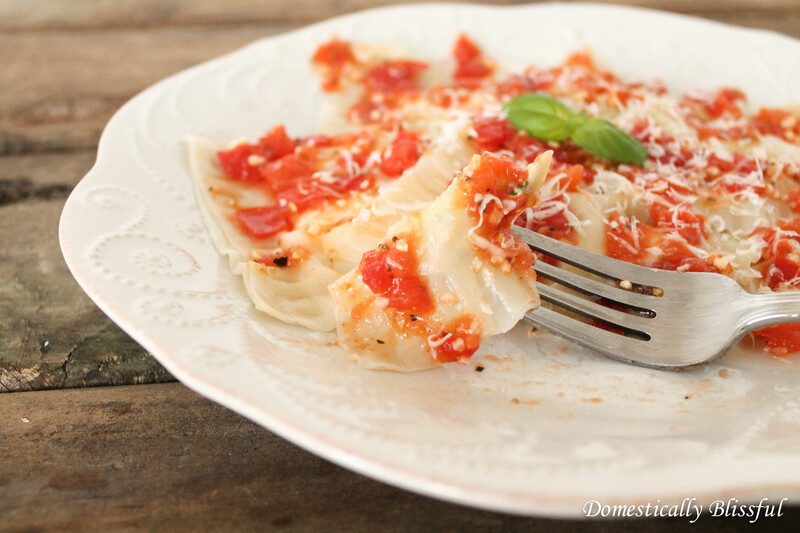 *If you are cooking meat instead of a vegetarian filling you might need to cook the ravioli longer or differently. Sorry I have no idea how to cook meat!